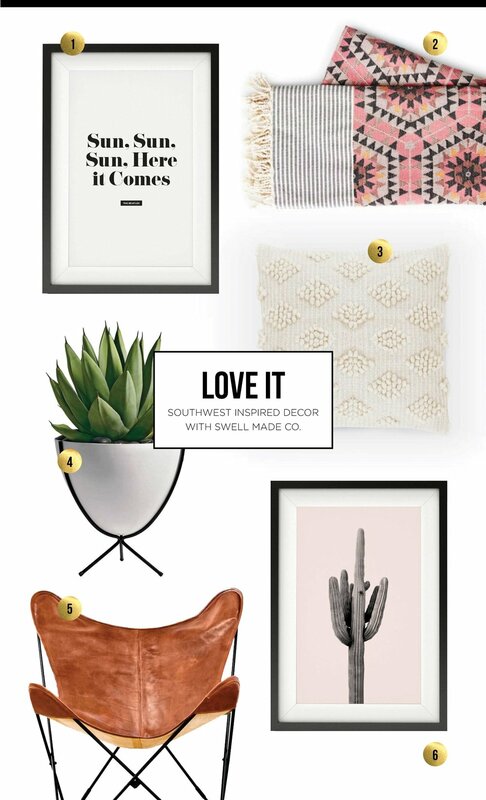 LOVE IT - Southwest inspired decor with Swell Made Co. Combined with some Mid-Century pieces, a Modern Southwest look is creative way to give your space a bohemian look. Modern Southwest style features bold geometric patterns, saturated harvest/earthy colours and historically rich references. A few months ago, I posted about Moroccan-inspired design. This LOVE IT list features a similar eclectic vibe, but from another part of the world providing an entirely different look when combined with classic pieces. Here are a few on my favourites. Aztec Rose Blanket from Holly's House. This 100% cotton and jacquard woven blanket in a southwest style pattern will remind you of a desert sunset. Also available in array (grey and peach) of colours and pillows. Estrato Pillow from The Citizenry. Chunky, textured, and extremely cozy, this piece brings a touch of warmth and dimension to any room. Hand-loomed using pure sheep’s wool by a family-run workshop in Tianguistenco de Galeana. 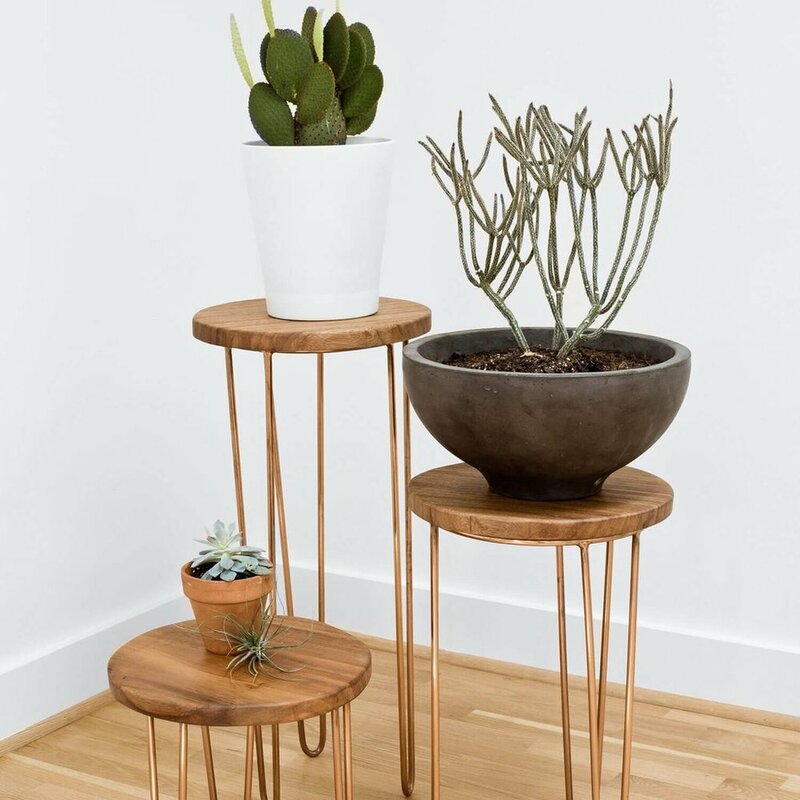 Mid-Century Bullet Planter from Design Within Reach. Any space deserves some greenery. Use this 1950s bullet planter for an agave plant or cactus to complete the look and freshen the air. Palermo Chair from The Citizenry. Authentically Argentine. Its inventive design and remarkable craftsmanship are iconic. Created in 1938 by Argentine architects, this chair is a symbol of modern design. Cactus Art Print by Swell Made Co. 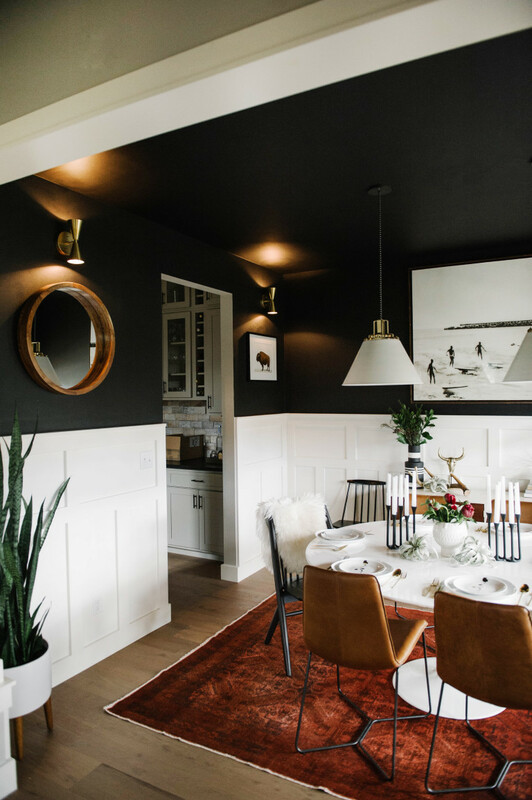 Here are some stunning examples from Pinterest for how to bring Modern Southwest decor into your home. Geometric rugs and textiles, handmade baskets and natural and earthy elements (warm woods, metals and leather) all round out this style with warmth. Follow me on Pinterest for more ideas. Whatever your style, there's no denying that eclectic is timeless whether its a rug or a piece of art. Click the images for links.